Our #GivingTuesday online fundraiser runs until Tuesday, December 4th - there is still time to donate to help Hawaii Wildfire Management Organization reach its goal of raising $2,000. If you are on Facebook, we encourage you to donate on the Facebook fundraiser page. There are no fees, you'll help us meet our goal, and, most notably, Facebook and PayPal are matching funds for donations made TODAY! If you don't have Facebook, not to worry, you can still make a donation on this page. With the recent California tragedies and the families who lost their homes during the wildfires in Lahaina and Waianae this year, it is more important than ever that we work together to make our communities and natural areas more resilient and better prepared in the face of growing wildfire threats. Your support will keep our non-profit's engine running. HWMO is a 501(c)3 non-profit organization that fills a critical need to serve as a hub of wildfire projects and activities among government agencies, land managers, communities, and other organizations across the state. We are the only 100% wildfire focused organization in Hawaii and our ability to maintain and grow our efforts relies on the generous support of people like you! is easy when we all chip in. Over 1.4 million residents need your generous support. What do you care most about in Hawaii? Are you a homeowner who cares about protecting your home and family? Are you a fisherman who values the availability of healthy fish? Are you a rancher who takes every step to ensure your cattle have quality forage? Are you a hiker who enjoys the sanctuary our native forests provide? Chances are the things you care most about in Hawaii are under the threat of wildfires. Over the past decade, an average of over 1,000 wildfires burned over 17,000 acres each year in Hawaii, with the percentage of total land area burned comparable to and often exceeding the rest of the U.S. Wildfires can occur just about anywhere and can affect just about anything and everything. That's why we believe our far-reaching efforts in prevention, preparedness, and recovery have and will continue to make great differences for all communities throughout the State of Hawaii. However, we are just a small non-profit made up of six passionate staff members who are charged with serving the entire State of Hawaii. We are able to get amazing projects done due to our extensive partnerships and grant opportunities, but we are constantly searching for ways to keep our operations going and expanding our project list. By donating to HWMO, you can help keep our flame alive. 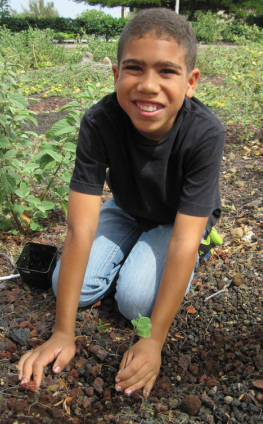 We are the only non-profit in the State of Hawaii focused on wildfire preparedness, protection, and recovery. All of our projects involve our local partners and community support. We strive to keep everyone in the loop about our projects with photo updates, regular e-mail newsletters, and face-to-face interactions. Every project aims to address the expressed needs of community members and on-the-ground agency personnel to ensure project value & effectiveness. HWMO also welcomes corporate sponsors.